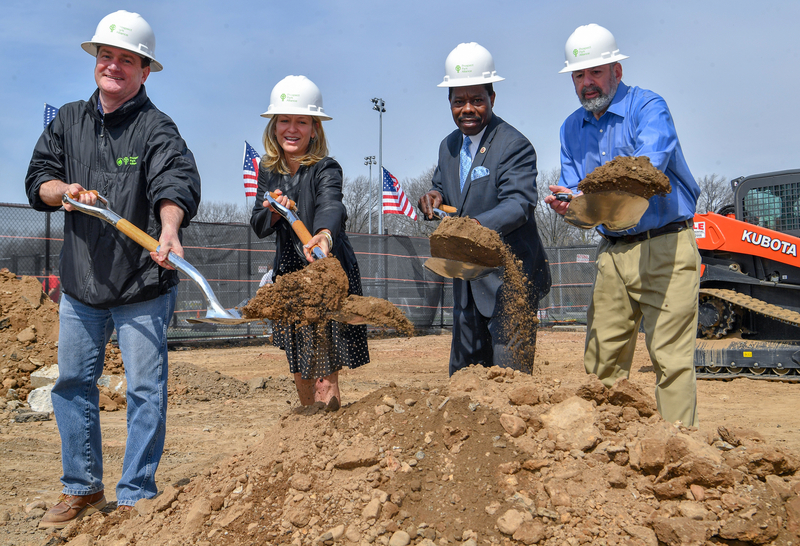 PROSPECT PARK – Council Member Mathieu Eugene and Prospect Park Alliance President Sue Donoghue hosted a groundbreaking Friday morning for a new fitness area planned for the Park’s Parade Ground. 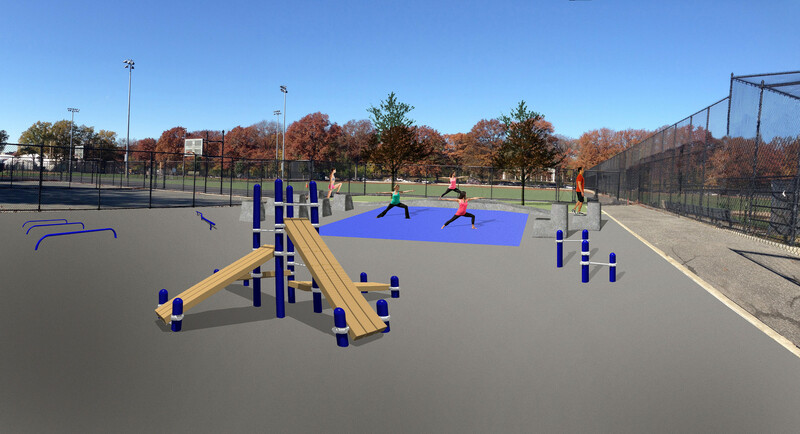 The $750,000 project, funded by Council Member Eugene, will renovate the Parade Ground section of the Park, create an adult fitness area, and install a cooling misting line along the popular soccer fields. Installed along Fields 10 and 11, the misting line will be set on timers and will provide a cooling mist during peak hours when the fields are at their busiest and hottest. The water will not collect onto the fields’ artificial turf but will evaporate to cool the air. The fitness area will feature twelve types of fitness equipment and offer an open area for group classes as well as custom concrete “step-up” blocks. The project also includes fixing drainage problems at Field 7, reconstructing the volleyball court, planting shade trees, and adding new seating. These upgrades have been in the works for some time—BKLYNER first reported about Eugene’s proposed improvements to the Parade Ground back in 2015, when the Prospect Park Alliance presented the plans to Community Board 14‘s Environmental Committee. I voted for this! How exciting! A vote that counted for once!